How small investors can unearth profitable stock ideas? We suggest that investors can do this by studying what the big guys - institutional investors - are buying and then toeing their line. Well, this is an interesting way to go about investing in stocks. But how profitable is this for small investors is something we doubt. This flows from the recent statistic from the SEBI chief that around 60% of the mutual fund schemes in India have under-performed the broader markets over the past few years. So much for the acumen of the big fund houses and their star fund managers who get paid excessively! We believe that instead of following what the big (and supposedly 'smart') money is doing, retail investors would be better served by doing independent research on companies before buying their stocks. And we are not saying this without reason. The 2000 dot com bubble and the power and realty bubbles of 2007 are instances when institutional investors went too aggressive on their investments into these sectors and then paid a heavy price when the bubbles burst. So, if you count history as a good teacher, you know that you can safely avoid the big and 'smart' investors betting on risky stocks, and directly invest in safe stocks to earn good returns in the long term. But then, before that, you ought to do your independent research on your potential investment targets. If you invest in fundamentally good companies for a perid of 5 to 10 years or more, you can experience that asset allocation of your small and mid cap companies has gone up compared to large cap stocks. If your investment is based on sound research supported by value investing, your portfolio will surely outperform various indices of stock market. You can subscribe to Hidden Gems to explore multibagger small cap opportunities to grow your investments and Value Picks to invest in strong mid cap companies with plenty of upside potential based on low valuations. Do note that its always adivisable that individual portfolio weightage should not be more than 20 percent in small cap & 50 percent in mid cap stocks. This does not mean that when your small cap stock appreciates you will sell to reduce your stocks allocation to 20 percent or to 50 percent in case of mid cap stocks. 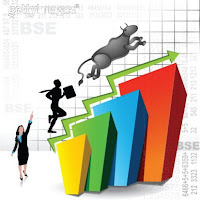 You will always look at buying price of your stocks when you evaluate weightage of small, mid and large cap stocks in your stock portfolio and not at the stock's current market price. Moreover, it depends on the investing approach of an investor based on his risk appetite. Its always good to balance your stock portfolio with flavour of small, mid and large cap stocks.